Spend your perfect weekend of freeride! – With this motto, FreerideTestival presented by BMW xDrive 2019 will be taking place for the sixth time. The three tour stops in Saalbach, Warth-Schröcken and the Kaunertal valley offer an extraordinary program to freeride enthusiasts – not only professionals but also amateurs. Apart from the biggest freeride equipment test in the Alps that is free of charges, there is the possibility of participating at various courses, workshops and in addition the BMW xDrive shuttle service represent the undoubted highlights of the event. FreerideTestival 2019 presented by BMW xDrives’ opener will take place in the state of Salzburg, more precisely, in the top destination Saalbach. On 23 and 24 February 2019 the FreerideTestival will put up its marquees at the valley station of the 12er Express cable car, which is located in the town’s district of Hinterglemm. From there, the well-known freeride sectors of Schattberg, Zwölferkogel and the freeride hotspot Fieberbrunn are only a stone’s throw away. Skiing down the vast and snow-sure slopes around the Wildseeloder mountain in Fieberbrunn is one of the best opportunities for freeriding in the region, which is why they attract internationally known events, such as the Freeride World Tour. The tour will continue on 16 and 17 March in Vorarlberg, more precisely, in Warth-Schröcken am Arlberg. With an average of 11 meters of natural snow per year, it is the ski resort with the most snow in Europe. With a large number of spectacular slopes, breath-taking scenery as well as the perfect infrastructure, the ideal circumstances for a weekend of freeriding at its best is guaranteed. The Auenfeld cable car connects the ski resort directly to the legendary slopes of Lech. But there is still more! With the second to last winter’s opening of the Flexenbahn cable car, which reaches from Zürs to Alpe Rauz, the ski resort has been connected the St. Anton and has made “Ski Arlberg” the largest linked ski resort in Austria. 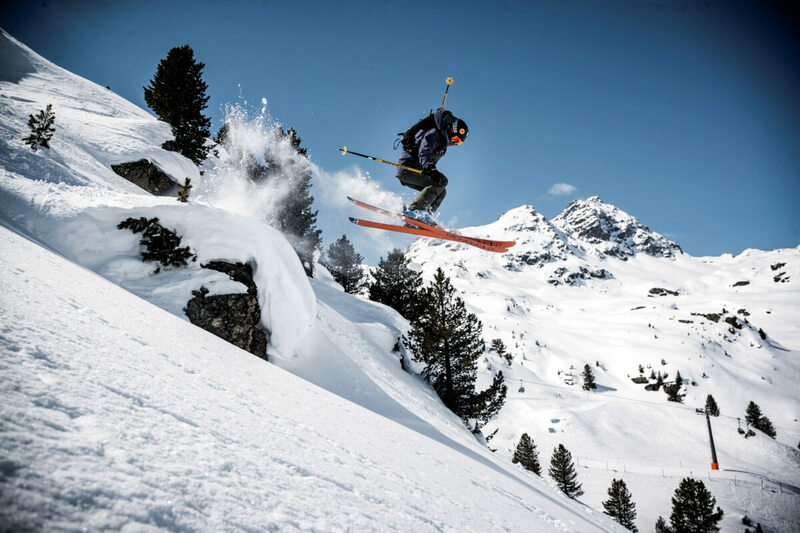 The FreerideTestival 2019 will have its last stop on 30 and 31 March in Kaunertal valley, which is located in Tyrolean “Oberland” (the part of Tyrol west of Innsbruck). Kaunertal Glacier is one of the best and most snow-sure freeride areas in the Alps. Because of its altitude, the slopes are almost guaranteed to be covered with perfect powder snow until late spring. And the sun enables us to spend wonderful bluebird days with pleasant temperatures until the end of March. Thanks to its incredible size and the diversity of the area, it is possible to discover untracked slopes even days after the last snowfall. The organizers of THULE FreerideTestival presented by BMW xDrive have devoted an enormous effort to developing a program. The tour stops offer comprehensive programs that are perfectly adapted to each location. Apart from the unique opportunity to test the latest freeride equipment for free and without any obligation, freeride enthusiasts are also very welcome to participate at various workshops, courses and other events. One of our highlights is the free BMW xDrive shuttle service: the new BMW X3 takes visitors from the end of the best freeride runs back to the lifts in a quick, comfortable and secure way. And for a relaxing evening, visitors are welcome to join our get-together in the ABS-Airbag Testival Lounge.